Officials from CalMac Ferries Ltd will visit Rothesay tonight (Tuesday, June 2) to ask members of the public how the customer experience on board their ships can be improved. 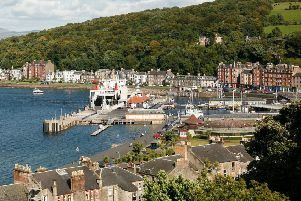 The meeting, taking place at Rothesay Pavilion between 6pm and 8pm, is one of a series being organised in communities throughout the west coast communities served by CalMac as the company prepares to bid for the next Clyde and Hebrides Ferry Service (CHFS) contract. That contract begins on October 1, 2016, and is due to run for up to eight years. Martin Dorchester, chief executive of CFL’s parent company, David MacBrayne Ltd, said: “It is critical that we understand our passengers’ experiences of the current service and their aspirations for the future service.